Beginning with licence-built copies of the Taylor, Taylor and Hobson machines - the originators of the Type in England - Gorton went on to develop a range of very high-quality models. 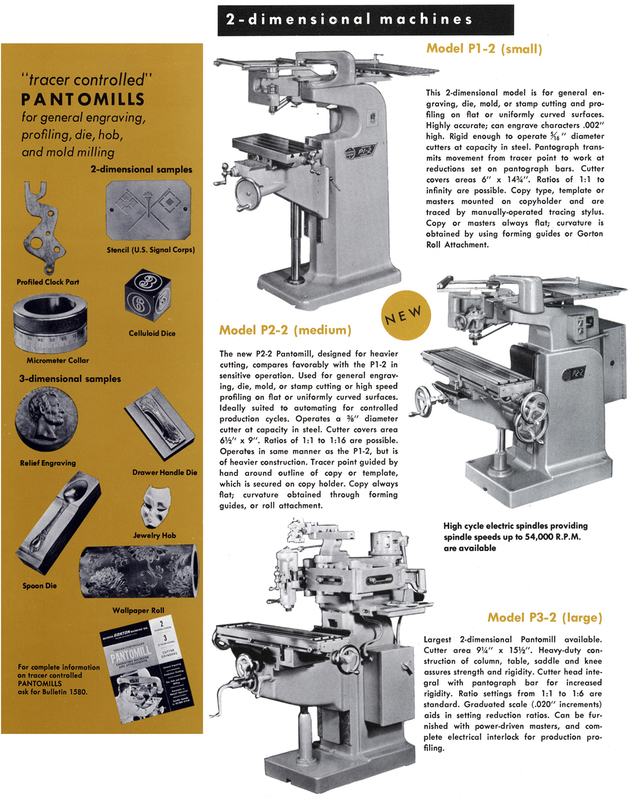 Two types were offered, both listed as "Pantomills" in the sales catalogs: machines for 2D work - the lighter P1-2 and P2-2 and the very heavy P3-2 - and ones for both 2D and 3D work, the P1-3 and P2-3 these having the ability to undertake engraving, die sinking, mould making and light vertical milling. Extracts from Gorton's general catalog are reproduced below. 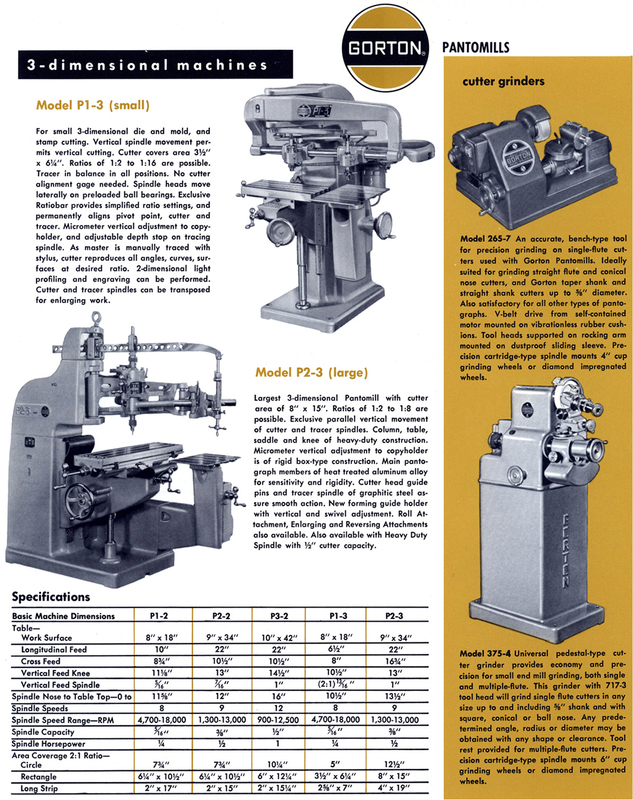 If you have a copy of Gorton's full Panomill catalog, the writer would be like to add a copy to this section of the Machine Tool Archive.